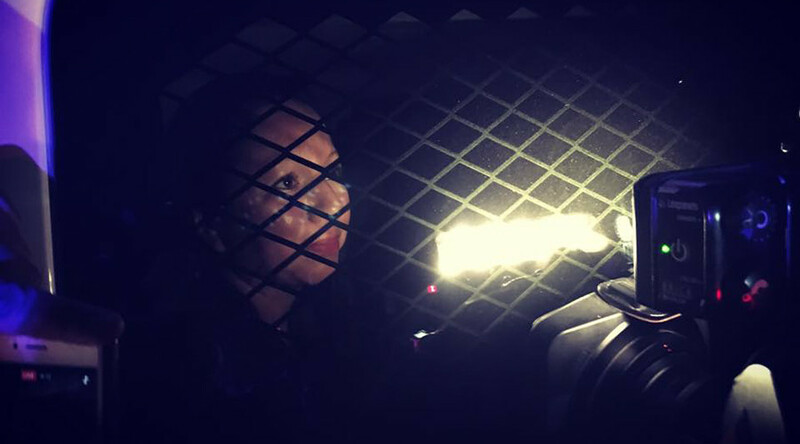 An undocumented Mexican woman was deported by the US government after 20 years in the US, one of the first people expelled under President Donald Trump’s executive order on immigration. The move sparked protests in which seven people were arrested. Guadalupe Garcia de Rayos, 36, came to the US illegally as a 14-year-old girl. She is a convicted felon, due to a 2008 raid on her Arizona workplace by then-Maricopa County Sheriff Joe Arpaio on the suspicion that the business was hiring immigrants who had used fraudulent IDs. She was not arrested as part of the raid, but was taken into custody by a SWAT team six months later, after investigators discovered discrepancies in her employment documents. She pleaded guilty in March 2009 to a reduced charge of criminal impersonation and sentenced to two years’ probation. However, the Obama administration considered her a low priority for deportation, as long as she consistently checked in with immigration officials, in accordance with an executive order signed by President Barack Obama. 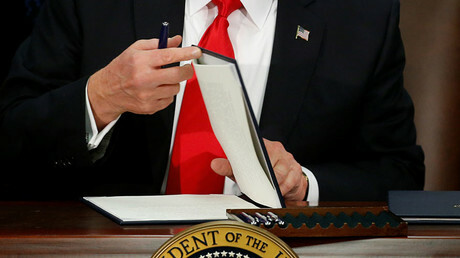 On January 25, Trump signed an executive order on immigration, which he said was aimed at the US “get[ting] back control of its borders.” It called on US Immigration and Customs Enforcement (ICE) and other federal agencies to “unapologetically enforce the law, no ifs, ands or buts” when it comes to immigration, according to White House press secretary Sean Spicer. De Rayos and her lawyer, Ray Ybarra Maldonado, went to ICE in Phoenix on Wednesday for her biannual check-in, as required. After de Rayos entered the ICE building, she was not allowed access to her family or lawyer. Once she was taken into custody, about 200 people gathered outside to protest, the Arizona Republic reported. They attempted to block federal buses and vans used to transport people from ICE custody to either detention centers or the border for deportation. As police arrived, the number of demonstrators dwindled, but seven people were arrested. By Thursday morning, she had been deported. “I walked in with her yesterday through those gates and walked back out without her. It hurt, but we still had hope,” Maldonado told reporters outside the ICE building on Thursday. De Rayos’ two children, both American citizens, decried the family’s separation at the press conference. Her husband, who does not have legal status, also spoke. Like his younger sister, de Rayos’ son also vowed to fight for her return. “We want her back, back in our arms. We want her back over here where she belongs. She belongs with us. And we’re going to keep on fighting. We’re not going to stop,” he said. Maldonado laid the blame on Trump and his executive order. Maldonado and officials with Puente Arizona, a human rights activist group, said that the deportation of de Rayos would drive other undocumented workers underground and hurt communities throughout the state and country. Francisca Porchas, organizing director for Puente Arizona, decried the arrests of protesters, calling out Phoenix Mayor Greg Stanton, who has said that he would not become part of the “mass deportation machine.” If that was true, she said, the Phoenix Police Department would not have shown up or made the arrests. “This is when we need Mayor Stanton, the city council, the state, everybody who is of [conscience] to stand up and defy this racist law and defy Arpaio’s racist, nasty legacy... to set an example for leaders here and everywhere else and defy racist, anti-immigrant laws; racist executive actions; and a racist president who wants to persecute and terrorize our people,” Porchas said. Maldonado fought the deportation proceedings, asking ICE for six months to file a motion in court to stop the process, he said. Lawyers had challenged her conviction in court, saying that Maricopa County could not enforce immigration laws because that is a power left solely to the federal government. A district court gave de Rayos a favorable decision in that case. De Rayos has tried to become legal. Her sister has filed a petition to sponsor her, but the visa process is so backlogged that she will probably have to wait 10 years to be reunited with her family, Maldonado said. “She missed DACA, the President Obama program, by four months because she was four months too old, and all she was trying to do is live her life,” Maldonado said. Obama signed the Deferred Action for Childhood Arrivals (DACA) executive order in June 2012. It offers deferred action from deportation and eligibility for a work permit for two years to undocumented immigrants who meet certain eligibility requirements, including their age, when they entered the country, education or military status, and lack certain types of criminal convictions. Although Porchas complained that Stanton did not intervened on behalf of de Rayos or to protect the protesters, he issued a scathing statement against the deportation. As the family’s press conference happened on Thursday, Governor Doug Ducey (R-Arizona) and Homeland Security Secretary John Kelly met with Customs and Border Patrol agents along the US-Mexico border near Nogales, the Sonoran city where de Rayos was taken after she was deported. It was an unannounced stop. It was a move condemned by Stanton, who called on Kelly to take action. “I have a message for him: Do much more than go to the border to stare at the fence and take photos. Take a much closer look around. Look at how immigration has benefited our state and our culture,” he said. “Try to understand how closely our economy and that of Mexico are linked, and what will happen to our state if we lose 100,000 jobs tied to exports with Mexico and Latin America because of the President's antagonism. President Trump is tearing families apart, undermining public safety and will ultimately hurt our economy." The children and representatives with Puente Arizona plan to meet with de Rayos in Mexico to decide what to do next.